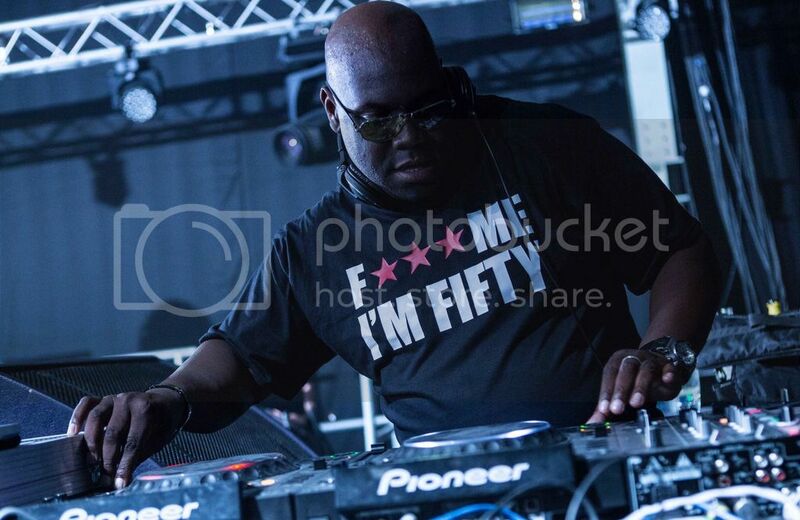 Carl Cox: "It’s Time For Me to Take a Step Back and Have My Own Life"
There probably isn’t a DJ in the world that commands such universal respect and adoration as Carl Cox. The Englishman has been at the helm of dance music for the last three decades, and his 15-year residency on Tuesday nights at Space Ibiza - which he announced last year will be coming to an end in 2016 - will go down in history as one of the most influential club nights of all time. We sat down with techno king ahead of his jaunt over Australia for Pure, a two-date monster techno party in Sydney and Melbourne next month featuring Joseph Capriati, Format:B, DJHMC, and Eric Powell. The big news last year was your announcement that 2016 would be your final year in Ibiza. What do you see Ibiza becoming after your residency finishes this year? Are you hopeful for its future ? I don’t know. I’ve been going to Ibiza since 1984 so you can imagine the things that I’ve seen, you can imagine the amount of music that I’ve heard. You can imagine the amount of people that have come and gone, how many clubs and ideas have risen and fallen, how many sunsets and sunrises I've seen. Everything that I’ve experienced, everything to do with my life and my vision and my ideas and what I’ve stood for over the last 15 years of Space, is about to come to an end. I’ve been a Space advocate since day one and for it to now be the last season that I’m going to be doing and the last season any of us are going to see again is very, very sad. There will be a massive hole. Nothing will fill that void. People that were really into music, really into the ideals of what Space was about, are gone. And things have changed a lot since Space started 27 years ago. All the flamboyancy, the gays, the straights, people coming together from all over the world and just to enjoy these moments at Space - it's changed. When I got asked to do Tuesday nights - there’s was no nightclub in that space. The only official after hours club that would start at 7 o'clock in the morning and go all the way through until the day - Space was the only club that did that. And it was brilliant because when we were there in the daytime, people were at work and here we are enjoying ourselves. You’ve hinted at possibly retiring from DJing. If that happens, will you stay connected to dance music, or do you think you’d leave the industry behind completely? It’s going to be one of those situations where if I do throw a party people know it's not one that they should miss. They know that I have always supported up and coming DJs, producers, new nightclubs, radio stations, magazines, new fashion. People know that if I throw a party it doesn’t have to be for an hour and half, that it can be somewhere between four, six and eight hours. I think people know that if you book me, I’ve got a 100% turn-up rate and I’ll be there to rock your house. I think people know that at the end of the day that I have lived and breathed this for 28 years. So maybe retirement is on the cards? Hell yes! But the thing is for me, I have given a lot of my heart and soul to what I’ve created. And now I think it’s time for me to take a little step back and have my own time and my own life. You brought in the millennium twice by performing in Sydney and again in Hawaii after flying back over the International Date Line. How did that feel for you? You can imagine I’ve played a million parties, but one of the most significant events I've ever done was when I played in Sydney for the Millennium. This is when I fell in love with Australia. Looking back, that was an amazing opportunity. But obviously in our lives, you’ll never see me do that again. But at this point, it was something that was just amazing because when I was at pavilion playing down at Bondi with good sound, perfect weather, right on the beach and the clock struck midnight and we welcomed the 21st century with everyone just going mad! I couldn’t believe that we had made it to this point with the music, with what we were doing. Those were still pretty early days. It was being internet broadcasted to the rest of the world. I had satellite broadcast to BBC Radio 1 - the world was listening. Here I am doing what I’m doing as a DJ. I was able to play for three hours get to the airport, jump on a plane, fly over the dateline, and go back in time. When I got my passport stamped it was the year 2000. When I got to Hawaii, it was 1999! I was like ‘Woo check me out - I’m playing back to the future!’. And then I did the whole thing again and it was just amazing. The crowd there in Hawaii loved the fact that I was able to come and party at this time with them and for it to be significant. And yeah, it was really tiring. Everyone around me was just partying, going crazy and there were girls kissing girls and guys kissing guys and all these things going on around me. And I was keeping focused by not drinking or doing anything and making sure that people felt the music and my vibe and you can imagine, after I finished I had a lovely big sleep! 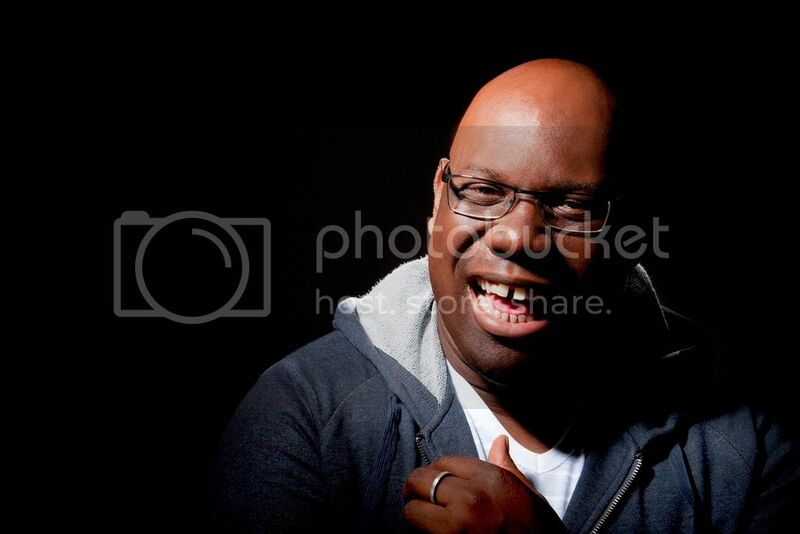 And how did the Carl Cox & Friends venture spark? I wanted to highlight the idea that a lineup was a lineup, and I want to get people to understand that there is a camaraderie between all of us as DJs. Nobody’s really number one, nobody’s really number 10 or number five or number 100. But you know, my idea is that we’re all friends and we all support each other, and people can see that when we work together. It’s a really happy bond between all of us, which accentuates itself onto the dancefloor. That's when you get a lot of back-to-back sets. That’s when you get DJs working alongside other DJs. They’re all my mates, I love them for whatever he or she does and they’re playing in front of an audience that I have created. So I’m saying, here’s my audience and you take it away. They’re yours for the next two or three or four hours. I just want everyone to remove that element of bigger or smaller. Everyone is equal. You can mix the way that you know and you can have that initial vibe about who you are as a person and everything else that goes with it. I support that wholeheartedly. I have done and I always will. These people are my friends. At the end of the day we’re all in it together. I totally agree with you on that. I think the music industry needs to show a bit more collectiveness. Absolutely! I mean, I’m trying my very best as an individual. There’s a reason why it’s called Pure. It’s not about Carl Cox & Friends being the next big thing or the next big day out or the next Stereosonic or whatever. If you're not into it, don’t go. If you want to hear what I’ll be bringing to the table, then you’re going to love it. And at the end of the day, I’m not going to do an event for 50,000 people if it’s not what I want. I want to bust out that record that you’ve never heard before and rock the dancefloor. And for me that's why it’s called Pure and it’s why I really want people to come. Not because it’s just another party, but because I believe that I know what you want, and I can bring that to the table. And if you’re there for the right reasons, you’re going to have the best time. So, one final question: how much vinyl do you actually own? I’ve got over 150 000 pieces of vinyl - I’ve got a big triple garage which I store the bloody things in. When I first started collecting music at my mum and dad’s house, they were up the stairs, up the walkway, along the corridors and she said - “You and your records out!” and that’s exactly what happened. I haven’t been to a record store in many years. Going to the record store was very time consuming as well in those days. I have obviously stopped collecting vinyl now! 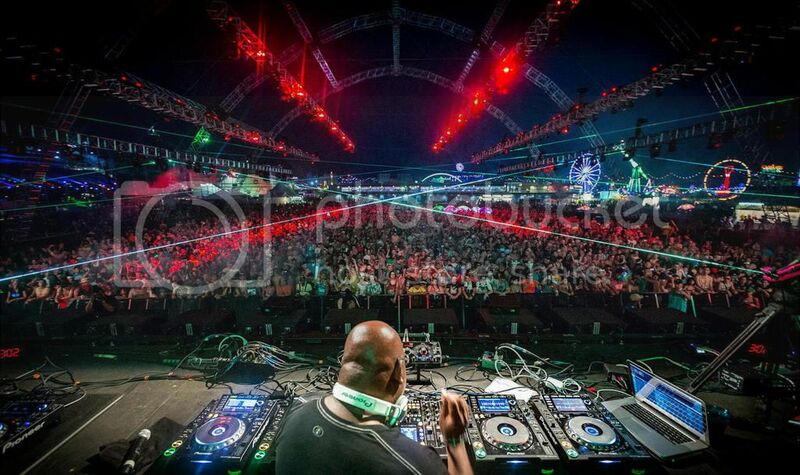 Watch Carl Cox live at Space Ibiza each week. All 8 stages have been confirmed for Eastern Electrics Festival.